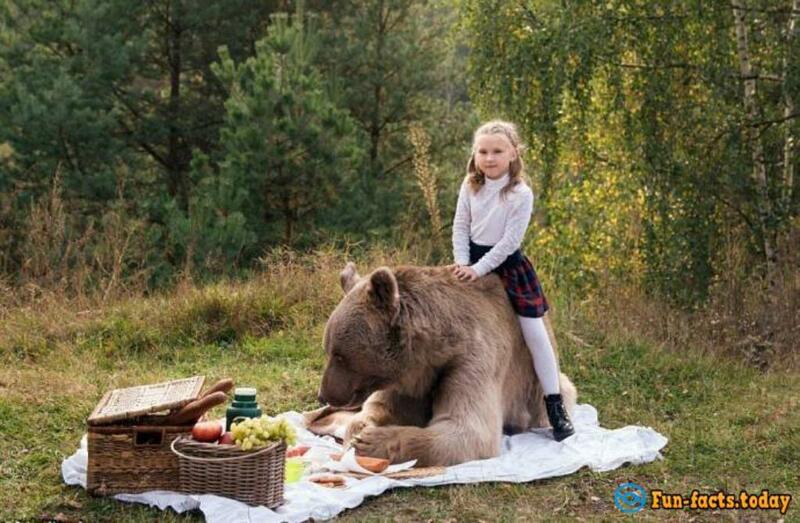 Bear Stepa and his unusual life of a Russian family. 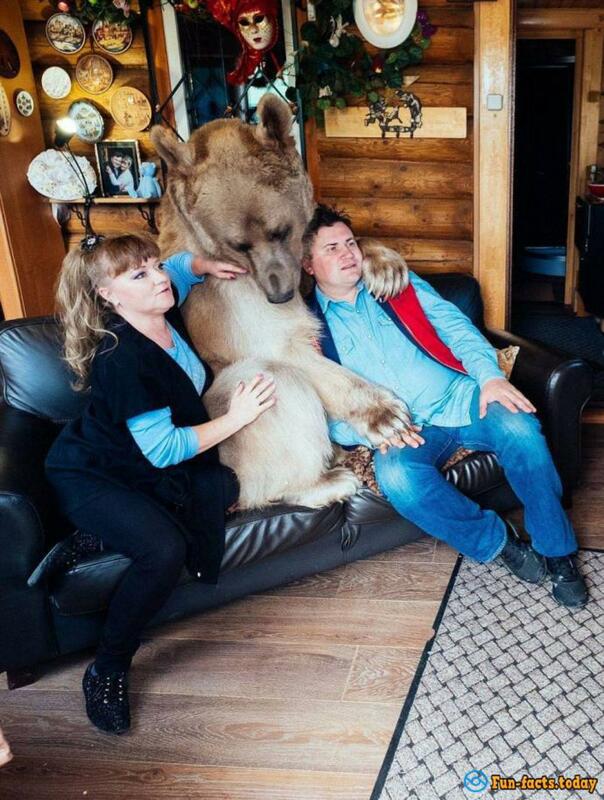 From the side Svetlana and Yuri Panteleenko looks like normal Russian family except for one fact along with them lives a huge bear weighing more than 300 kg. 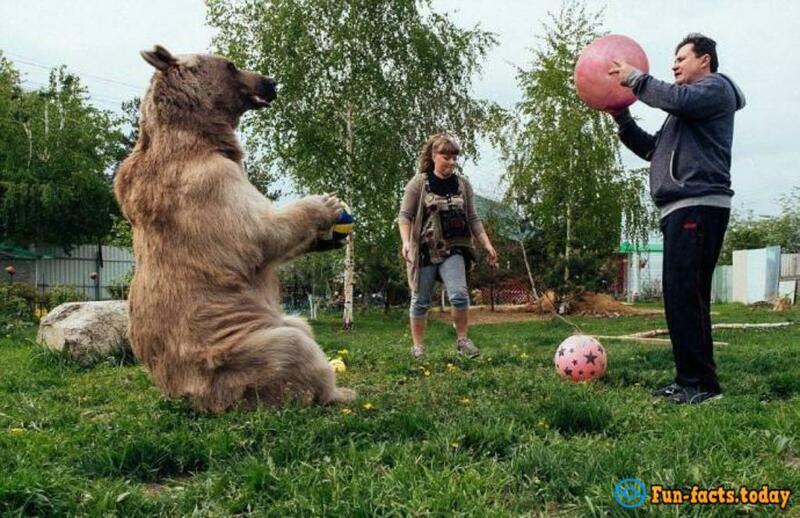 The pair has taken Stёpu when he was only 3 months old, and since then he lived with them and even sometimes help with thehousework. 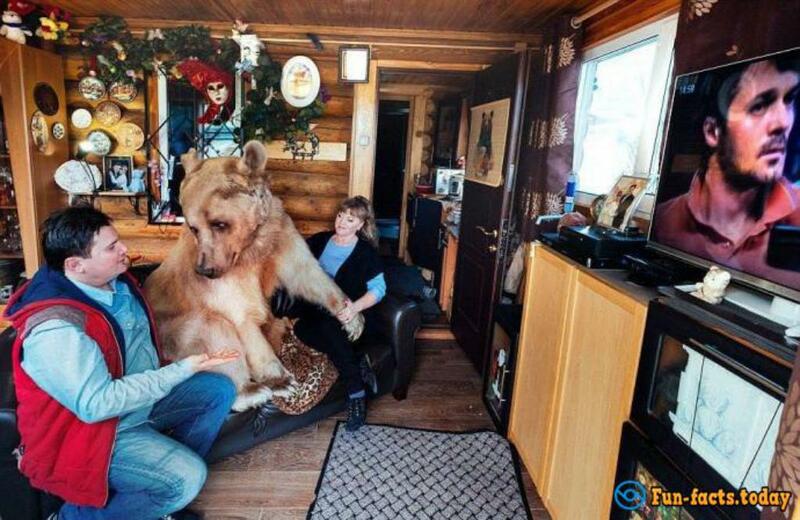 It is difficult to find in Russia a more stereotypical family than Svetlana and Yuri Panteleenko, because they live in a wooden house from a log house surrounded by birches and drink tea with the present bear. Now Styopa 20 years weighs more than 300 kg (according to information from the personal site. 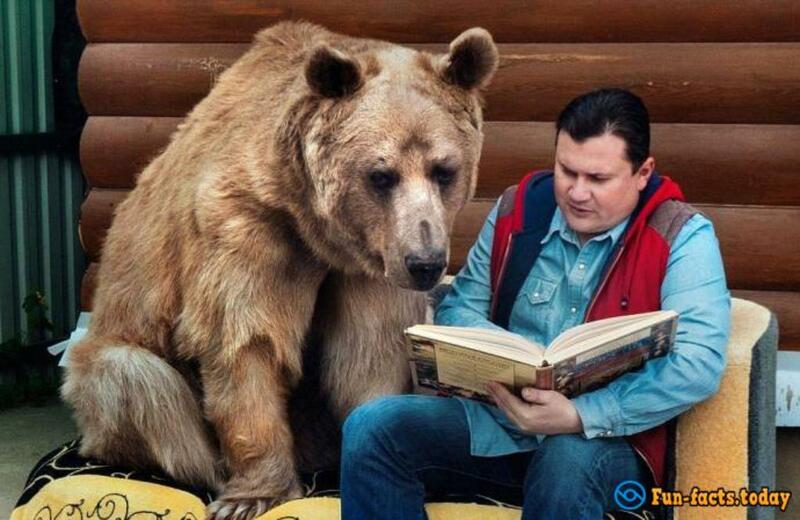 In many media indicated the other weight and height), and when it gets on its hind legs, its growth is equal to 220 cm. 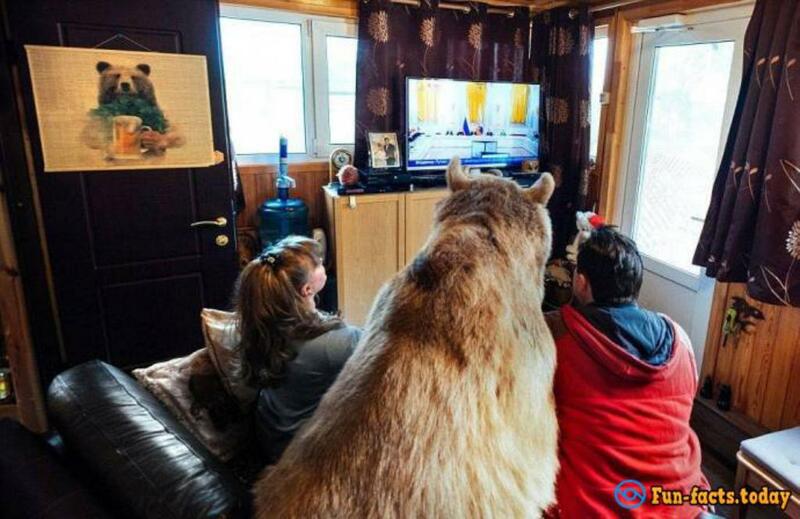 The bear is so domesticated that evening pressed against them sitting on the couch while watching TV. 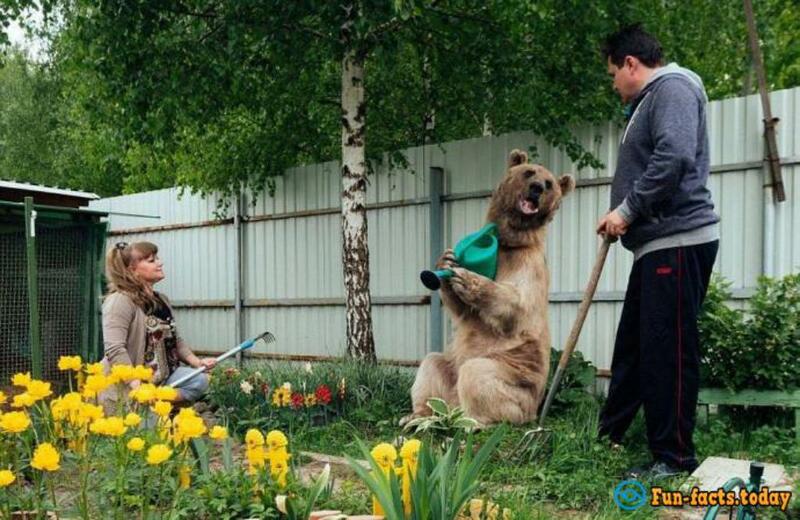 Family claims that Stepan helping them with the housework, well, at least he knows how to water the beds in the summer. 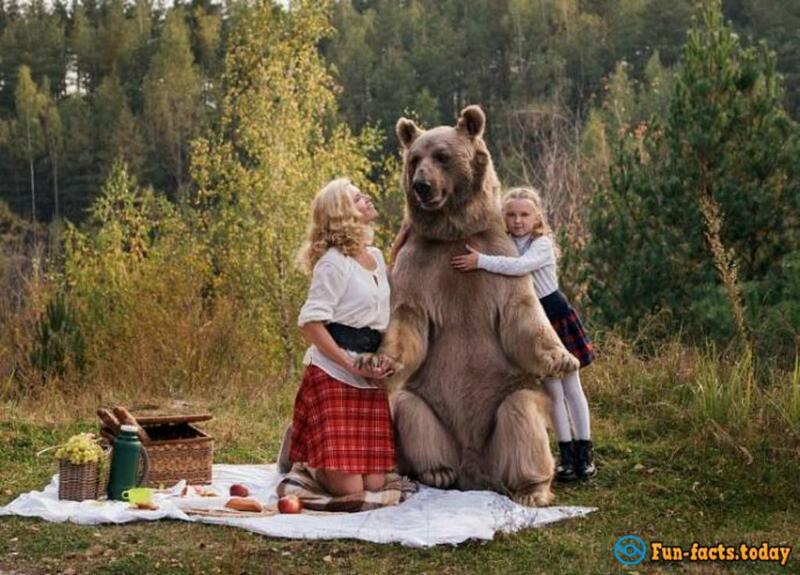 But the big bear, it is also a big responsibility in the sense of hunger. Daily Stepan eats 25 kg of fresh meat, eggs, and vegetables. 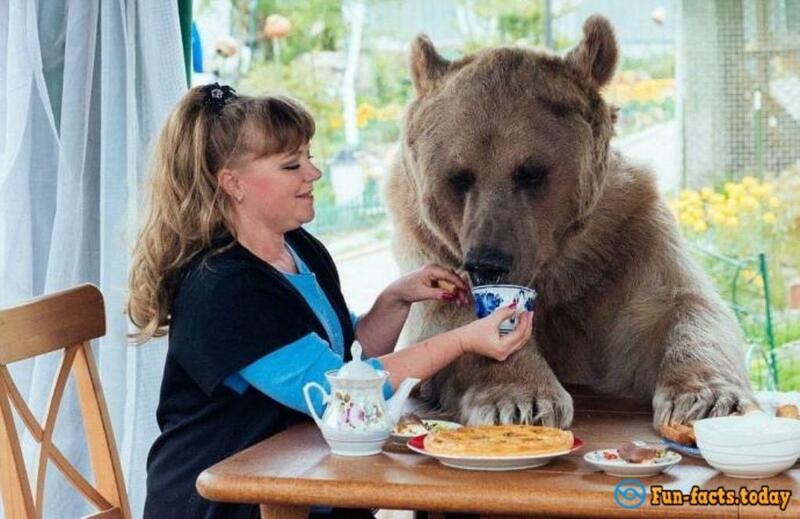 Moreover nothing without dessert, Stepan loves eating condensed milk. 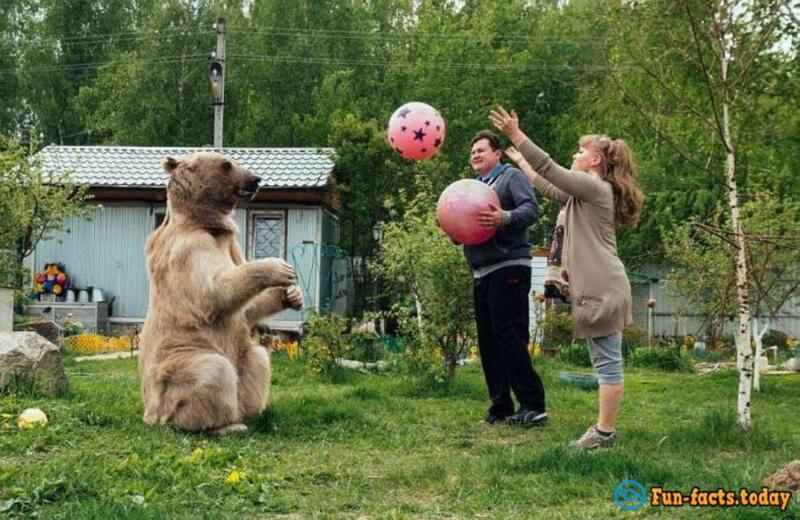 If desired, it is even possible to play ball with him. 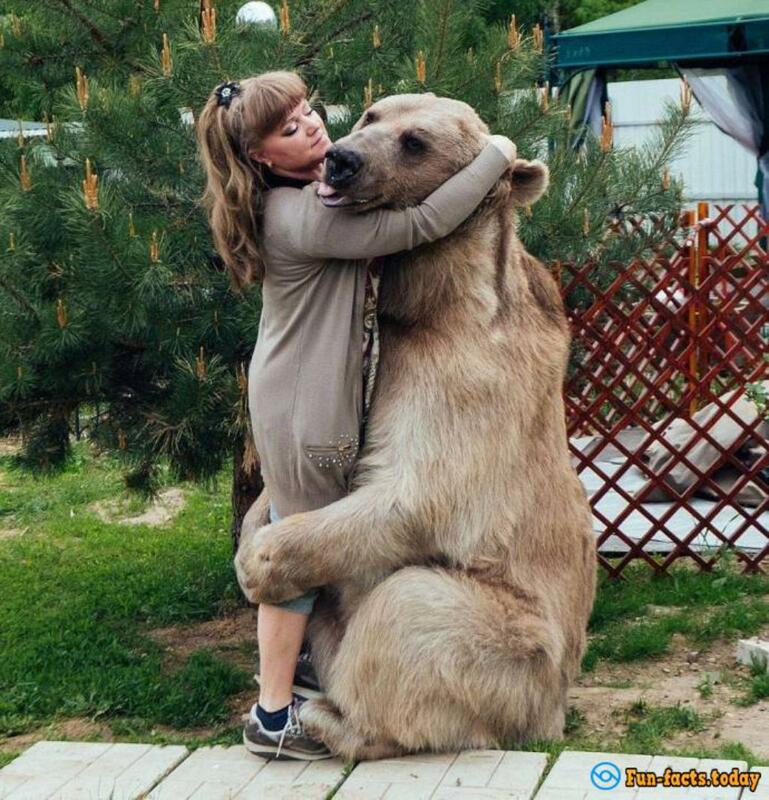 Yuri can tumble down Stёpu to the ground and scratch his tum or to begin to deal with him, without fear that the animal will bite off his head. 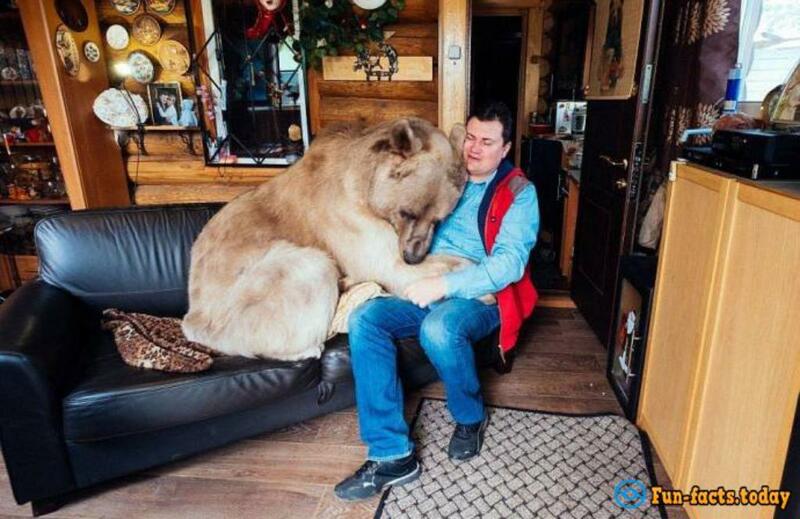 A faithful friend, which is better than any security system protect their house. The main thing that the robbers have apprehended inscription "Caution angry bear" seriously, otherwise they will not be lucky if they decide to rob this house. The bear has a website. There it is written "becoming his second parents, Yuri and Svetlana, raised Stepushku, making him a real circus artist and star of movies. He's a smart, kind and incredibly beautiful".